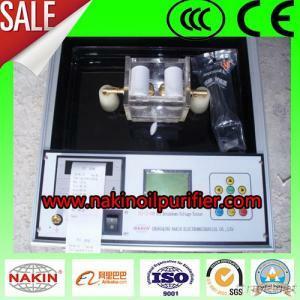 CQ Nakin Electromechanical Co., Ltd. In the electric power industry, insulating oil is wildly applied in electric equipments. The dielectric strength is a comprehensive index for insulating oil. Series IIJ-II oil tester is special for testing insulating oil’s dielectric strength. IIJ-II Automatic oil tester is designed according to international standard of IEC156. Adopt industrial single chip as controller, apply large integrate circuit, new type I/O interface, LCD displayer, combined with special testing and anti-jamming technologies which greatly improve the tester’s performance. Tools, Measurement & Analysis Instruments, Test Equipments, Test Equipments/n.e.s.